Good news, anime fans: the awe-inspiring series from GKIDS and Fathom Events is back at AMC — and with it, some of our favorite stories and faces. Studio Ghibli Fest 2019 kicks off April 7 with HOWL’S MOVING CASTLE and features eight other anime titles playing through December 2019. Each film will have multiple screenings, in both subtitled and dubbed formats. Read on to see which animations are back in theatres for Studio Ghibli Fest 2019, and find showtimes and tickets at an AMC near you! 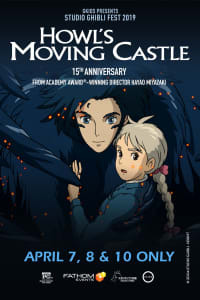 Celebrate the 15th anniversary of HOWL’S MOVING CASTLE from Academy Award®-winning director Hayao Miyazaki. This fantasy film is fun for the whole family, with a variety of mythical characters and magical adventures. Featuring the voice talents of Lauren Bacall, Christian Bale, Billy Crystal, Blythe Danner, Emily Mortimer and Jean Simmons. 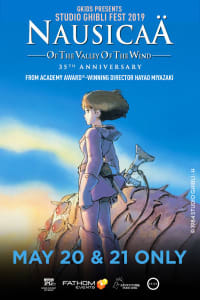 Another film from acclaimed director Hayao Miyazaki, NAUSICAÄ OF THE VALLEY OF THE WIND commemorates its 35th anniversary at Studio Ghibli Fest 2019. The film is still renowned as one of the most breathtaking and exhilarating animations of all time. Featuring the voices of Alison Lohman, Uma Thurman, Patrick Stewart, Edward James Olmos and Shia LaBeouf. A magical cat, a quiet schoolgirl and a starry-eyed boy embark on a life-changing adventure of self-discovery. 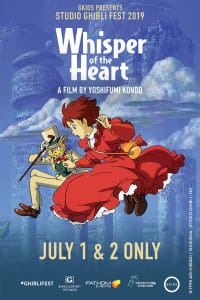 WHISPER OF THE HEART is a beautiful tale based on a screenplay from Hayao Miyazaki that will delight and amaze audiences of all ages. 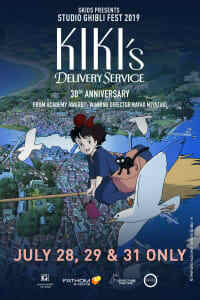 Released 30 years ago, KIKI’S DELIVERY SERVICE is a beloved coming-of-age story about a resourceful young witch who uses her broom to create a delivery service … only to lose her gift of flight in a moment of self-doubt. Follow along as Kiki regains her confidence and abilities. Featuring the voices of Kirsten Dunst, Janeane Garofalo, Phil Hartman and Debbie Reynolds. 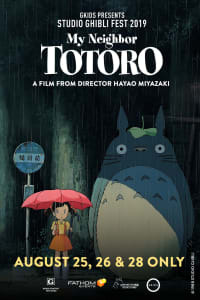 Based on director Hayao Miyazaki’s own childhood imaginings, MY NEIGHBOR TOTORO is one of the most endearing and internationally renowned films of all time, a film that Roger Ebert called “one of the five best movies” ever made for children. Featuring the voices of Tim Daly, Lea Salonga, and real-life sisters Dakota and Elle Fanning, in early roles. 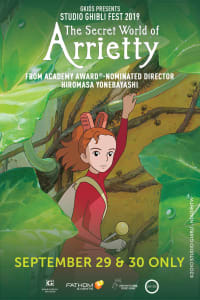 From Academy Award-nominated director Hiromasa Yonebayashi comes a gorgeous and adventure-filled adaptation of “The Borrowers,” one of the most beloved children's books of all time about a heartwarming unlikely friendship. Features the voices of Bridgit Mendler, David Henrie, Amy Poehler, Will Arnett, Moises Arias and Carol Burnett. 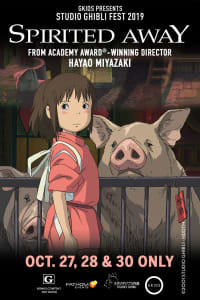 Winner of the Best Animated Feature Oscar®, SPIRITED AWAY is one of the most critically acclaimed films across the world. This wondrous fantasy adventure overflows with thrilling storytelling and imaginative creatures like the sorceress Yubaba. 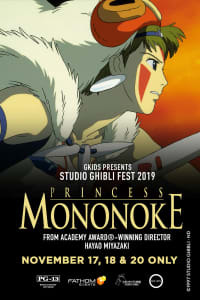 PRINCESS MONONOKE has dazzled audiences worldwide with its breathtaking imagination, exhilarating battles and deep humanity. The film centers on young warrior Ashitaka and his encounter with the enigmatic Princess Mononoke. 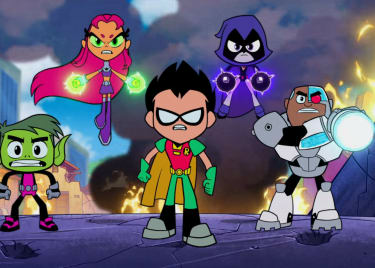 Featuring the voice talents of Gillian Anderson, Billy Crudup, Claire Danes, Jada Pinkett Smith and Billy Bob Thornton. Nominated for an Academy Award and hailed as a masterpiece by critics, THE TALE OF THE PRINCESS KAGUYA is a powerful and soaring epic that redefines animated storytelling. 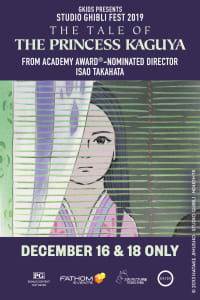 The film, from Studio Ghibli co-founder Isao Takahata, follows a mysterious young princess who must confront her fate. 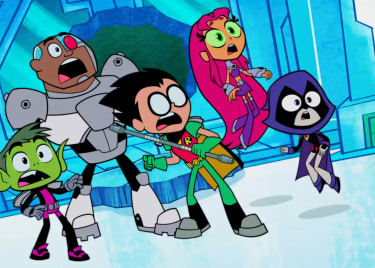 Featuring the voice talents of James Caan, John Cho, Darren Criss, Lucy Liu, James Marsden and Chloë Grace Moretz.